Here’s a collection of pictures of Kenya. These images help to understand why each year over 1 million tourists travel to Kenya… Kenya has between 32 and 37 million inhabitants. Most of them live more or less Western life styles, but especially the Samburu, Turkana and Masai tribes have largely kept the customs of the forefathers. At the bottom of this page you’ll find links to alle the pages with pictures of Kenya at this website. 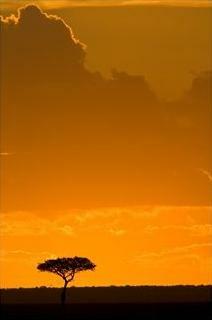 Above: An acacia tree at sunset in Masai Mara National Reserve, Kenya’s most popular wildlife park. Sunsets in the Kenyan national parks can be jaw-dropping. 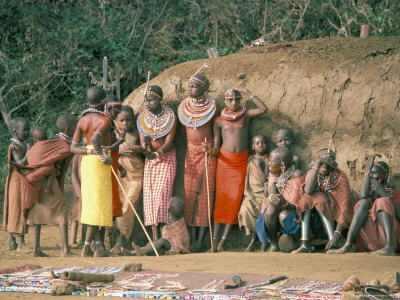 Above: Masai women and children in a traditional village. The Masai are the most famous tribe not only of Kenya, but arguably of Africa as a whole. 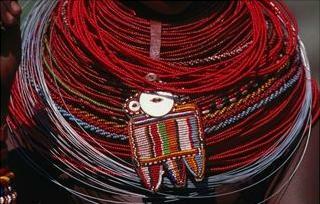 Above: Typical jewelry of a Samburu girl at Samburu National Reserve. The Samburu are closely related to the Masai and have also kept their traditional life styles. 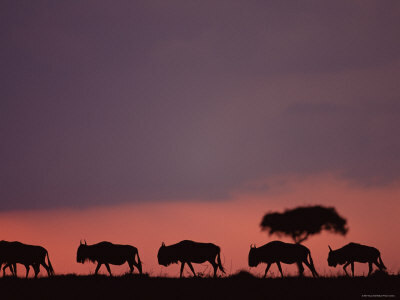 Above: Wildebeests silhouetted at dusk in Masai Mara National Reserve. This park is a favorite target of tourists between July and August, when up to a million wildebeests trekking through the area provide a stunning scene (the Wildebeest Migration). 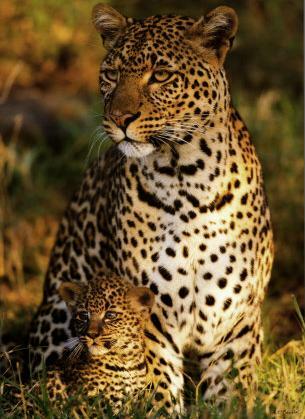 Above: A leopard with her infant at Masai Mara National Reserve. The leopard is one of the ‘Big Five’ many tourists hope to see – besides the leopard it’s the buffalo, elephant, lion and rhino. 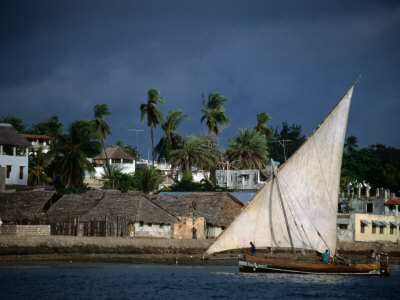 Above: A traditional dhow sailing for the coast of the island of Lamu. Dhows have been used for ages by traders and fishermen on the Indian Ocean and the huge Lake Victoria. These days it’s possible to make a dhow trip at the Kenyan coast. 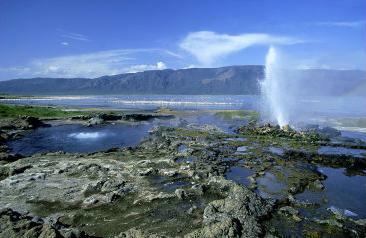 Above: Lake Nakuru National Park, which is famous for it’s huge pink flamingo population. 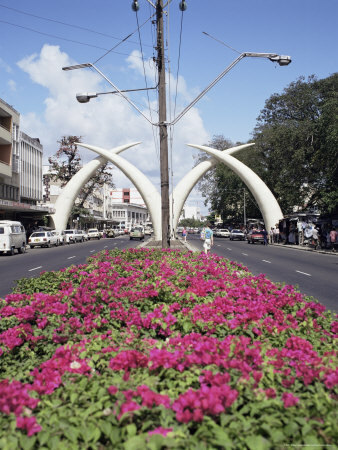 Above: The elephant tusks are the symbol of Mombasa, Kenya’s second city at the coast. Many tourists who are headed for one of the beautiful Kenyan beach resorts, fly in via Mombasa. 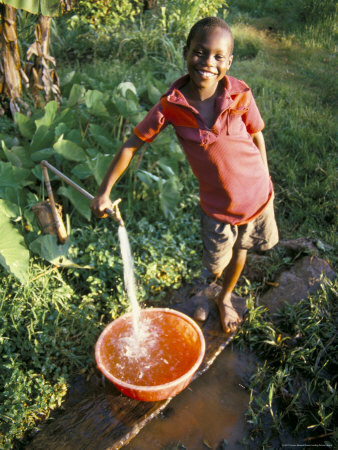 Above: A boy tapping water at Chuka village in the Mount Kenya area. 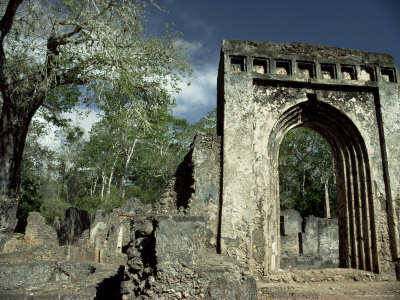 Above: The Gedi ruins on the road from Malindi to Mombasa. These are the remains of an Arab-African town from the 13th-14th century. There are more remains of such villages in the coast region, but this one is maintained well and open to the public. 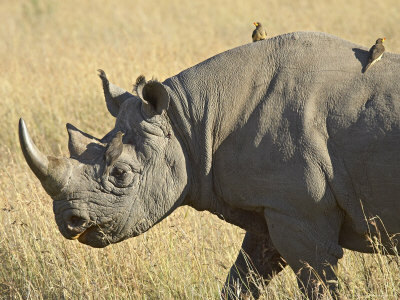 Above: A black rhino with a yellow billed oxpecker on it’s back. Black rhinos have been threatened due to heavy poaching in the 1980s, but this has largely been dealt with and their numbers seem to be on the rise again.